Ron Andersen is a 48-year-old-man who is very ill. After a lifetime dealing with a congenital heart defect, a heart transplant is his only hope for survival. Ron is one of the kindest people you’d ever hope to meet and he needs our help because the cost of a transplant can be overwhelming. Ron grew up in Santa Cruz and attended Santa Cruz High School. Some of Ron’s passions are sharing his love of Christ with everyone; He is also an avid Harley rider. Ron is a former bus driver. He was so fortunate to be working at his dream job but due to his health, he had to retire. With transplant, Ron is hoping that once he gets a clean bill of health, he may be able to return to driving buses. Together, Ron and his family are committed to seeing him through his heart transplant. Transplants are lifesaving but financially draining. 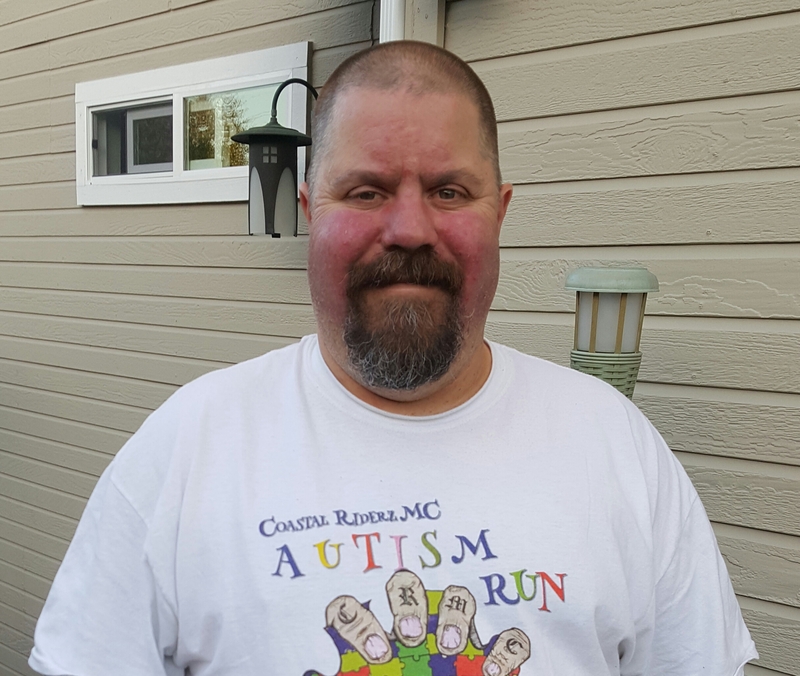 Even with insurance, Ron is facing very high out-of-pocket expenses including relocation for three months to be closer to Stanford Hospital, caregiver expenses, life-long post-transplant medications of up to $1,200 a month, co-pays, lab fees and more. To help with the financial burden of Ron’s uninsured expenses, a fundraising campaign in his honor has been established with HelpHOPELive, a trusted nonprofit organization that has been providing community-based fundraising guidance to patients and their families for more than 30 years. All donations are tax deductible, are held by HelpHOPELive in the Southwest Heart Transplant Fund, and are administered by HelpHOPELive for transplant-related expenses only. Please consider a contribution. Just wanted to update my current health situation. I have been hospitalized a few times since my last update. For fluid retention. Things are getting a bit better after a few more medication changes. I am still waiting for my transplant and praying it comes soon. I want to thank everyone that has made a donation for my after heart transplant care. The out pouring of love and kindness has been amazing. Thank you all for sharing my campaign with your family, friends and co-workers. Love and blessings to you all. Today they changed my meds again. I am retaining more fluids so I am very tired and breathing is more difficult. Still praying that my gift of life is coming sooner then later. Thank you all for the continued love and support. God bless. Good morning everyone! Thank you again to all my supporters and everyone that has shared this page. I am doing ok. Went yesterday for my weekly blood work to keep an eye on how the meds are doing. My kidney function levels have been elevated the last few weeks so the dr wants to make sure I don’t go into renal failure. My heart keeps plugging along as I wait for the call. I am trying to keep as strong as I can. Having a 5 month old puppy is keeping me on my toes. Duke definitely helps keep my spirits up! I just wish I had his energy. I will check back in with more updates on my journey soon. Hi everyone, thank you for checking out my page and for any contributions you have made. I sincerely appreciate the help. I am feeling pretty good today. Just getting use to my new normal of med changes as well as my energy level. I feel blessed that my vitals are stable and I am able to care for myself as far as daily tasks go. Blessings to all! Hope this helps, get well soon Ron. Ron your a good man and a great brother ! I know the lord has great plans for your future . Love ya . Sending prayers/donation for a quick donor and a healthy future.